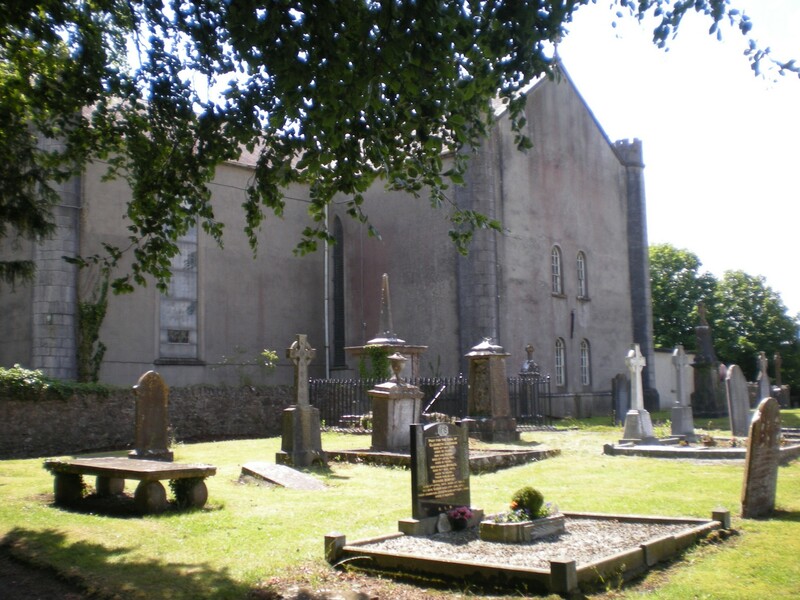 The graveyard is in town of Durrow. Graveyard surrounds Church of the Holy Trinity Catholic church. The church is marked on the 1841 OS map; the graveyard is first marked on the 1908 OS map. The graveyard has a modern local authority annex at the eastern end (see separate record). The graveyard is accessed by walking around the church on the north or south sides. The church gate is on the western (road) side. The annex is accessed from the main burial area. The burial area is well served with tarmac paths which are allow wheelchair access.